Cersaie 2018, the largest tile and bath fair of the year, is nearly upon us and although we won't be going this year, we do have a sneak peek or two from some of our favourite tile makers we visited when we were in Bologna, Italy back in 2016. 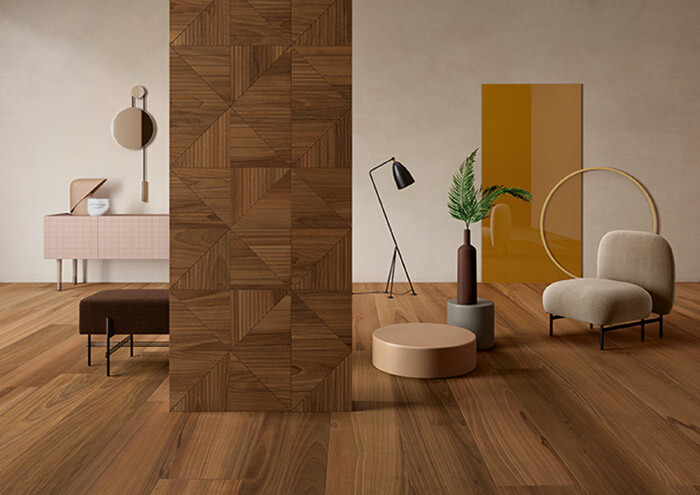 Following the great success of Lea Ceramiche's wood effect collections, including the innovative versions such as the award-winning Type 32 and the more traditional, but equally refined ones, Lea is now presenting a new collection with distinctive features: Bio Select. The idea behind Bio Select is to recreate the essence and the warmth of wooden floors in a ceramic material with a natural and elegant look. The initial varieties are some of the most precious: oak and walnut. Careful study of these two types of wood in Lea Ceramiche's research labs led to the choice of colours and motifs to be reproduced onto porcelain stoneware, using innovative digital printing processes. The results are harmonized colours and veining: linear, sweeping designs in the case of walnuts, greater irregularity and nuances in the case of oak, all available in seven colours. Bio Select is available in a rich and varied selection of designs. In the stylistic tradition of Lea Ceramiche, the shapes of the modules permit them to be laid in numerous ways, from geometric patterns to more refined styles. 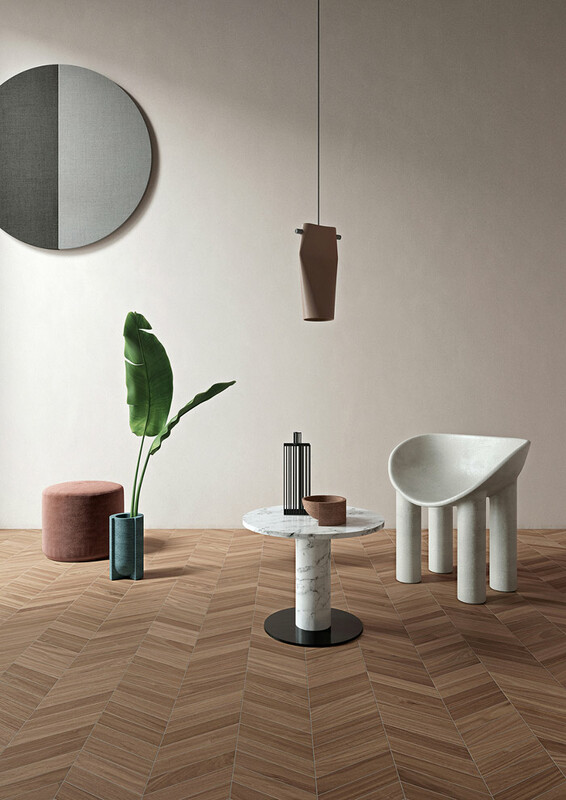 Surfaces with herringbone floorboard patterns or trapezoidal shapes allow customization of a property using ceramics as a crucial design element. Also available in large format, the designs offer spaces a natural elegance with quality and sustainability in mind.